Three days ago, I ditched my daily bible reading plan. Not the habit, mind you, just my appointed plan… We had a “falling out” of sorts. Three months ago, I had completed a daily reading plan of my own making, which I dubbed “the absorption approach.” I would read or listen to scripture every day, beginning with Genesis and proceeding book-by-book to Revelation. If I didn’t quite understand a section or wanted to meditate it, I would re-read or re-listen until I was ready to move on. Sometimes I would remain in the same chapters for days at a time just to dig deeper into the context. When I completed the “absorption approach,” I decided to go through The One Year Bible (ESV), in which the reader gets four different readings per day—three Old Testament readings (beginning in Genesis, Chronicles, and Psalms, respectively), and one New Testament reading (beginning in Matthew). When it comes to my personal bible study, I like to change my technique periodically in order to see the scriptures from a new angle. Sometimes I change the version I use, other times I will try a different reading plan. Alas, the One-Year Bible and I did not mesh. During the “absorption approach,” I would make sure to have time for Bible reading each day. If I missed my appointed time slot, I would fit it in somewhere else that day. I could pick up any Bible anywhere and I would know exactly where I was in my daily reading. Often, I could make connections in Bible class with something I had read that week. My days overflowed with illumination. No, I definitely got that mixed up. Ugh! I forgot to place that order! Elihu! Get your head back in the text! Wait… by no means… what? What was he just talking about?? Frankly, I was getting bored. When it comes to reading the Word of God, I do NOT want to be bored! I want to be engaged, excited, enthusiastic!! I also noticed a shift in my attitude. Instead of meditating on the Word during the quiet intervals of the day, my mind would come to rest on trivialities. This disastrous election, stories I was reading with kids, random worries—they were all squeezing into the blank spaces of my mind. I was slowly drifting off-center. I have spent the last two years immersed in the Word, growing more consistent in prayer, and—best of all—growing closer to the Lord than I have ever been in my life. David wrote this Psalm after Nathan confronted him with the sins committed in the affair of Bathsheba. David was referred to as “the man after God’s own heart,” but in a period of apathy, he became a murderer and adulterer. How on earth did that happen?!?! We don’t wake up one day, stretch our limbs and say, “Yeah…I think I’d like to go out and sin today.” Sin is a creeping, sinister thing, and it begins with this slow slide from the presence of God. I don’t want to wait until disaster strikes to cry out, “renew a steadfast spirit within me!” I want to pray the prayer of renewal at the first little tug of indifference. Bible reading may not seem like a “righteous” or “important” endeavor, but it is often the small duties that reflect the inner character. We cannot know the Lord without spending time with Him. When we read the Bible, we listen to what God has to say. When we pray, He listens to what we have to say. Neglecting either of these things is to neglect our relationship with God. The Holy Spirit has so much more to work with in our hearts when we commit ourselves to absorbing the Word. I did not want to quench the Spirit in my negligence, nor lose the joy that had become my sustaining strength. It was time to for a new approach. I hit delete on my plan and started wrestling with Romans. I am still undecided on my long-term course of action, but for the present, it’s me, October, and Romans. I’m going to get all those “by no means” straightened out. If that’s the case, it’s time to change your approach! Where do I begin with daily reading? What should I try? Do a little research. Ask around for a few methods people have tried with success. 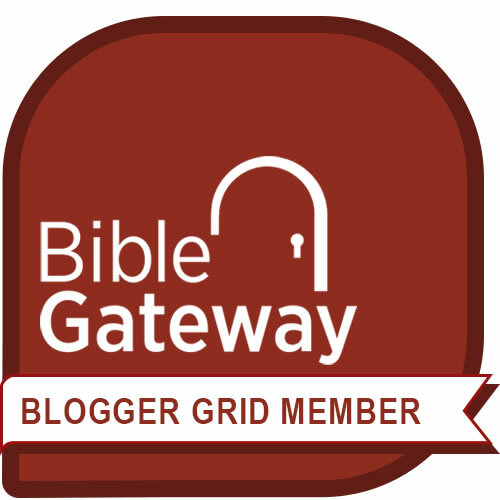 Check out my old post, 4 Ways to Study Your Bible in 2016, for a few suggestions. The One-Year Bible is in there, by the way. It might work well for you! Get an accountability partner. If you’re having trouble getting into the Word, find someone willing to do a particular plan with you and then text each other with some insight or question each day. If a day goes by and no text is received, one of you needs to text the other to stay on track! Audio Bible here I come! If you have small children or a very hectic schedule, I highly recommend audio bibles. Before you tell me you’re a “real book” kind of person, hear me out. I wish I had time every single day to sit quietly in my wingback chair devouring good book and a chai tea. I love the smell of books, both new and old (maybe that’s why I majored in printing), but there are far too many demands on my time to enjoy the luxury on a daily basis. You can listen to an audio bible on your commute to work or while you are folding laundry. It’s a great way to get time with your Bible during those quiet moments of busyness! Best of all, if you have an app like YouVersion, you can access an audio bible FOR FREE. Bible Journaling. I love technology, but I love the physical act of writing so much more. If you’re having trouble absorbing a passage, copy a few verses from that passage in a notebook; jot down some reflections on what you’ve read; scribble in a few questions. You’d be amazed what will jump out at you, simply through the physical act of writing. Plans combat aimlessness. Just because a particular plan didn’t work for me, doesn’t mean it won’t work well for you, nor does it follow that all plans are useless. A reading plan is an excellent accountability tool. Make sure you give a plan at least thirty days before giving it up. What are some plans/methods/tools you have employed? What approach are you using? Can you relate to the above challenges? Please share your input in the comments below! Let’s help each other grow closer to the Lord. Amen! This was well said. I laughed because I go for the more chaotic approach and just read something, no plans, no discipline, no rhyme or reason. Some people really like having a process and some order. Whatever works for you. Agreed! Each of us takes in the Word differently. What’s important is that we take it in on a regular, personal basis. Thanks for coming by, IB! How are you doing? I’m well, thanks for asking. We had a storm, so the lights flickering at just the right moments made worship fun and somewhat comical. It was as if God himself were providing us some sound effects and lighting. Ooh. That does sound exciting! ☺️ Glad to hear you are well. God be with you. Yes, yes, yes. I employ the writing/Journaling method. It slows down the process, allowing to linger and ponder. I notice things skimming would have missed, plus I can go back to the thoughts I had later. Great post. That’s great! Thank you so much for sharing your experience with us. May the Lord bless you reading and journaling as you draw closer to Him! I understand what your saying. I struggle sometimes reading the word so I try to take it slow and try to learn what God is saying to me. I like the idea of using different translations or listening to it so you can absorb it better. I find the more I read the better I understand it ! Yes, I find that also. I believe that as we grow in Christ (and in life) these truths make more sense to us. Wow, very insightful! Great ways for someone to look at reading the Word. As of late, I’ve been reading (or trying to read) books that are based in scripture. I always read with pen in hand and Bible near. Without fail, there always is one passage that stops my reading and begs me to dive in further. When I dive in I find God making an application to my present life…always. Great post! I’m glad you shared. There is strength in numbers! That sounds edifying. What books are you currently reading? I just finished “why I stayed” by Gayle Haggard. Her overwhelming heart of love and forgiveness in the midst of horrific tragedy touched my heart. I’m now reading “the Daniel plan” by pastor Rick Warren and others. Also, from time to time, I slip into “the great house of God” by Max Luca do because I love how he brings to life the Lord’s Prayer. My music is always on, and from time to time a song will send me head-first into a section of Scripture. It’s imperative to stay “in-tune” otherwise this world will drive me mad!! What reads do you have currently? I’ve been jumping around quite a bit. I try to read a mix of fiction and non-fiction (in between my Bible reading) as it tends to help me with my writing. I just finished the complete Sherlock Holmes, and Bible-wise I’ve been reading The Problem of Pain by C.S. Lewis. I’m hoping to read The Cost of Discipleship by Bonhoeffer when I complete that. I always love to read Elisabeth Elliot because she breathes so much life into old hymns and has a way of bringing out the best in the nitty gritty grind of life. Great suggestions! I’m so glad you brought up Proverbs because there are 31 chapters—enough for each day of the month. I also like how you mention positive association—it helps tremendously. Thank you for your excellent input! I’m a fan of writing out scripture in a journal. The act of writing helps s-l-o-w me down, as well as with retention. Yes, I definitely need slowing down. I have read so many of these passages in my lifetime, that I have a tendency to zip through them, looking only for favorite spots. I have been working hard to slow myself down! He’s always looking out for us. I am with you on this. I will be trying a few tips you mentioned. Awesome! I hope they help you out! I too started with bible reading plan. But I failed.:(. In the end of the day I feel guilty. Point is these are just tools to bring us into discipline.And it’s great. But we do things if we love them. Reading scriptures as a one go, is good for head knowledge but I believe meditation makes it more effective cause it’s heart to heart conversation. Meditation is definitely a vital part of reading the Word. I am so thankful you pointed this out in your comment. David writes, “I love your law! It is my meditation all the day.” It should be the same for us. Even if we only read a short passage each day and then roll it over in our mind, that is far better than reading several chapters and completely ignoring them. I believe in doing things like this even when we don’t feel like it, but I also believe we need to do regular evaluations on our approach so as to keep the fire burning in our hearts. Thank you for your comment, Mary! So glad that I found your blog! I just set up a blog of my own were I shared my testimony… which really ended up being a jumbled mess, but I tried! I found this most extremely insightful, I can’t wait to read more! Getting started can be a bit daunting at first! I’ve been doing this for over a year and a half and still feel like a novice. I liked your testimony; many of us raised on the pew minimize our journey to Christ because it’s so quiet an undramatic, but we are still indebted and the more deeply we dig, the more we realize how many of our sins we overlooked! Thank you for the reminder and inspiration to spend time reading your bible a regular practice. I’m going to re-visit your study post and work on getting back to the bible more often! Hope you are well. Wow! I didn’t realize you had left Italy! I hope your time back in the states is blessed. As for us, we left our home in California in March of this year and relocated to Texas for a job. I’ve lived in California my entire life, so this was a very hard transition for me. I grew up in So Cal, went to college on the central coast, got married and lived in the capital, and spent the last seven years in the Mojave desert. It’s been a shock to my system to live in a completely different state. Thankfully, having moved so much during my early adulthood, I’ve been able to adapt rather quickly. I do miss the mountains and the ocean though! All this time I pictured you blogging from England for some reason. 🙂 I’m a lifelong Californian too! I’m sure it’s a huge change but glad to hear your new adventure is going well. Hugs! Bible journaling is what got me into the Word! My Bible has tons of scribbles from my interacting with it. Also, reading commentaries on difficult chapters can help. For my Christian ladies out there, there’s a group on Facebook called “Lord Transform Me” where we read through the Bible one chapter at a time–out of order–in three years. It really helps to go deep! This is excellent input, Emily! Journaling forces us to dig deeper. Do you set goals in your journaling or simply write your reflections? I am curious because I am trying some new approaches. Thank you for sharing this online resource with my readers! God be with you.